When you contact us we begin to collect information: term of contract, hours, work environment. We thoroughly review your needs: language, location, whether you need a caregiver with special skills and experience with specific disabilities. We consult our database and match you with a worker who fits the profile we have developed for you. An orientation period, for you and the caregiver to meet one another. You may be eligable to receive a free orientation. Contact us for details! Follow-up: Nexim contacts you after work has begun to allow you to give us feedback. We value your experiences. Taking the hassle out of the recruitment process. 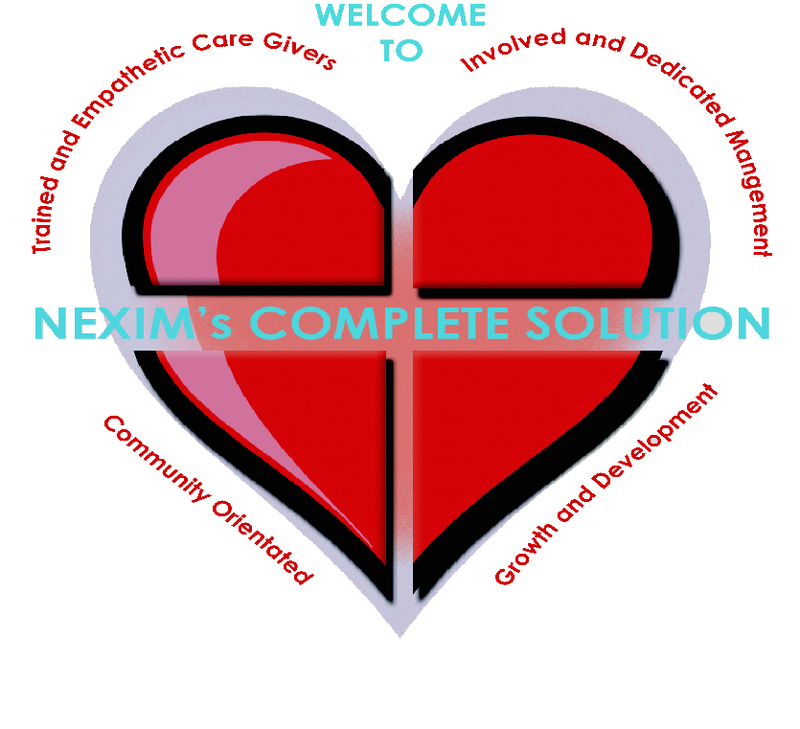 When you first contact Nexim, we begin by asking you questions about who you are, and what you need. What specific services do you require? What skills and certifications do the workers we send you need? How we select the healthcare worker that’s right for you. As specialists in the niche market of Health Care Recruitment, our consultants aim to attract the best this industry has to offer. Our widespread recruitment strategy, that draws from the internet and local sources starts the process by giving us a large pool of talent to draw from. Then we meticulously hand pick candidates to add to our database. This ensures that we have a varied team of professionals on call to handle any client’s specific needs. 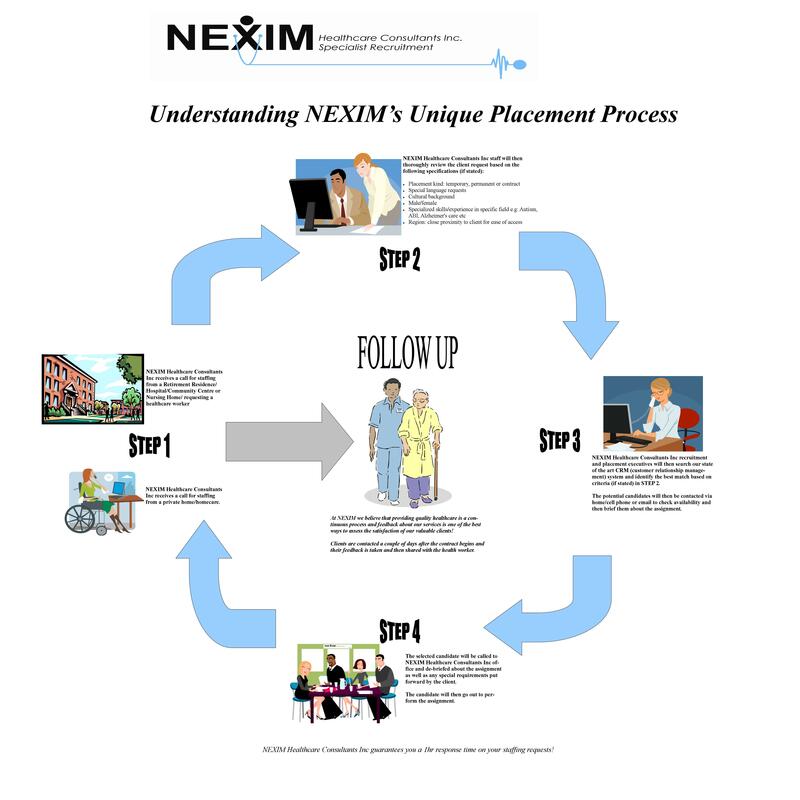 Nexim’s streamlined experience ensures that you find the right caregiver quickly. The strength of NEXIM is in flexibility. As individuals, and as a company, we recognize the importance of continuing to improve and learn. After we hire a caregiver to add to our database, they receive additional training. We want you to feel secure, whether you’re a client or a contractor. Building trusting relationships is one of the most important parts of our process. So tell us about your immediate needs, and your long-term goals. We like to listen and we’re eager to learn about you. How Nexim places workers with clients.